Creating and maintaining custom ETL scripts is both complex and time consuming, especially when your primary data source is MongoDB. After launching in Philadelphia, their second major metropolitan area outside of DC, Spotluck’s data volume expanded rapidly. The team quickly realized that maintaining a data warehouse to power business intelligence and strategic decision making was no longer optional. With growing data volumes and ever-increasing demands on their time, the Spotluck team wasn’t interested in spending days creating custom ETL scripts and sinking time into maintaining them. They needed to replicate their MongoDB data to their data warehouse quickly and without custom development work. Spotluck turned to Stitch and was up and running with their first reports in less than a day. Prior to using Stitch, accessing data for analysis required an engineer running a collection of custom Python ETL scripts. This time-consuming process increased the workload for the engineering team, and it made obtaining meaningful data difficult for the rest of the organization. Now, everyone at Spotluck has access to always up-to-date data without the need to request assistance from engineering. Stitch seamlessly aggregates data into their warehouse, and Spotluck’s Tableau reports and dashboards are updated automatically. 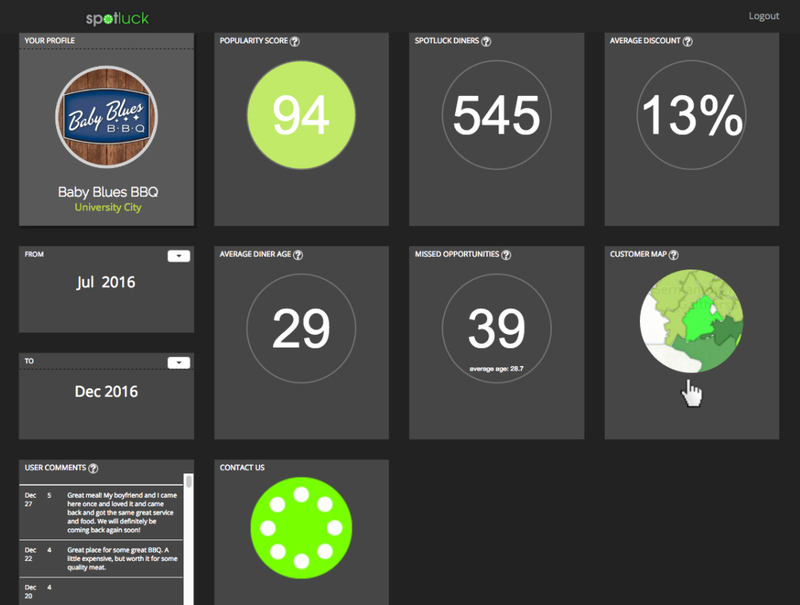 Spotluck provides reporting to their restaurant partners to allow them to access actionable data, including customer demographics, restaurant popularity, geographic heatmaps, and coupon performance. Before Stitch, there was 24 hour delay before Spotluck’s in-house Python ETL process made data available, making it far less actionable. Now both Spotluck and their restaurant partners can see and act on their data in a moment’s notice. Engineers shouldn’t be bogged down by writing and maintaining custom ETL scripts, and everyone should have access to data. By automating the ETL process in a way that scales, Spotluck has used Stitch to free up their engineers’ time, grow their business, and strengthen their relationships with restaurant partners. Now Spotluck has the ability to answer questions in real time, something they were never able to do before.